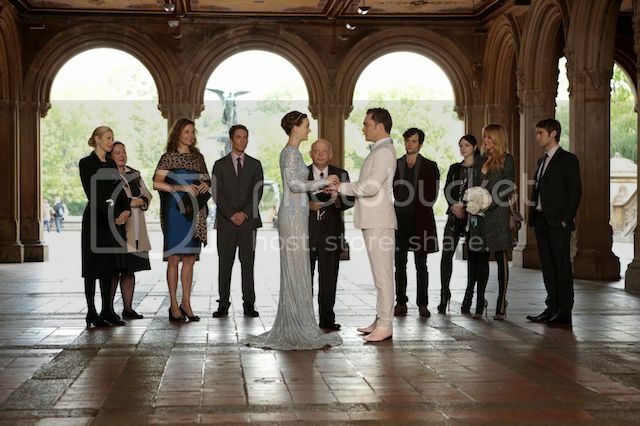 Grab your tissues, girls, and keep them close as we bid adieu to our friends from the Upper East Side. Tonight marks the end of an era. The series finale of Gossip Girl will air at 7pm after 6 seasons of blasts, multiple Bart Bass deaths, and brunches at The Palace. So I figure there's no more suitable time than today to break down the best and the worst of the best show with, I'll even admit, some of the worst, most convoluted, far-fetched story lines. The foundation, however, kept me hooked since my freshman year with its stellar cast, incredible wardrobes, the New York City setting giving each scene a rich backdrop, and one-liners that always packed a punch. The limousine scene. 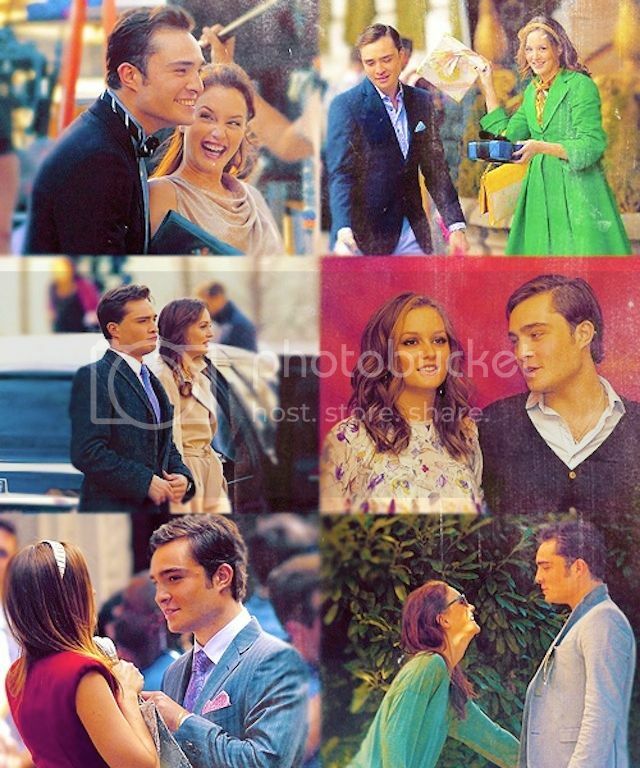 Cue the Chuck and Blair mania. 02.13 - O Brother, Where Bart Thou? Blair finds Chuck crying in her bedroom mourning his father's death. 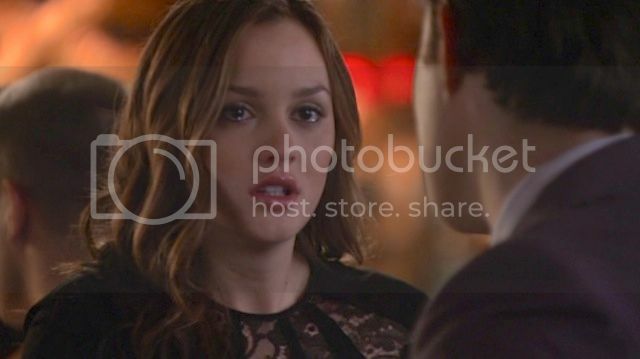 Blair confronts Chuck about trading her for his hotel, telling him that she never thought that the worst thing he would ever do would be to her. 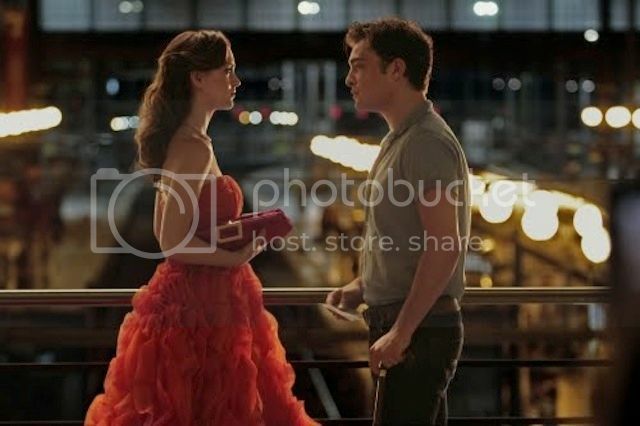 Blair finds Chuck at the Paris train station station and tells him to not run away from his identity. He responds by confessing that "he destroyed the only thing he ever loved," that thing being B herself. 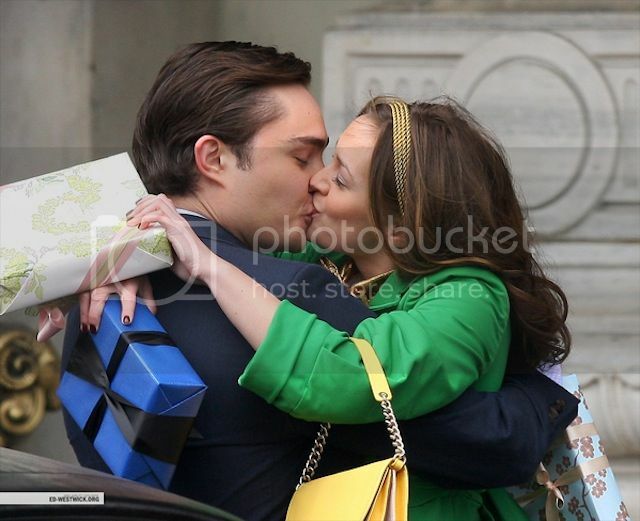 Chuck lets Blair go with one final apology, saying sorry for losing his temper, for not waiting longer, for treating her like property, for not saying "I love you" when he knew he did, and for giving up when she never did. And since season six has one-tenth still yet to be revealed, we'll leave it at this and the photo above, which I predict will be the best of the shortened sixth season. Upon visiting the hospital after Serena's car accident, Chuck remembers his own father's death. After a whole year, he finally faces the pain with Blair's help who reminds him that he carries people, including her. Little J was a huge disappointment in my book. She had so much potential. Girl rocked a headband, her little bob circa second half of season one almost made me want to chop off my hair (almost! ), and she added some youth and purity from the other side of the bridge. But, then, she discovered mesh tights and decided her alter ego was a raccoon and it was all downhill from there. ANYWAY, Nate belongs with Serena. Jenny belongs with an identity crisis counselor. So, that's that. B. My main girl, B. 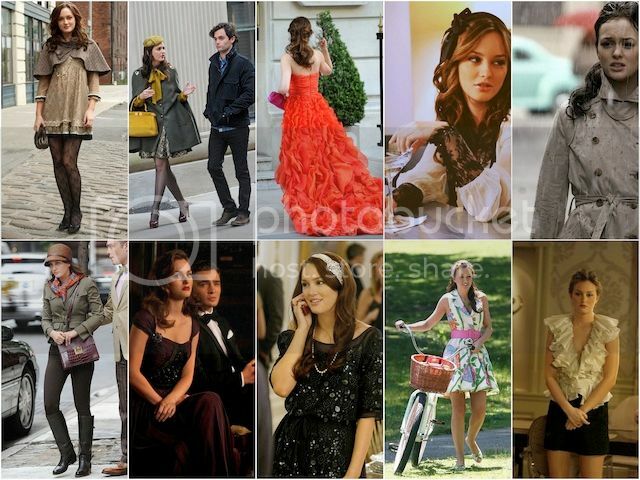 From the flawlessly executed high school uniforms to the brilliant schemes to her not-too-shabby pent house overlooking Central Park to her ability to make every male character fall in love with her, I am in great company in choosing Blair Waldorf as my favorite character from the show. 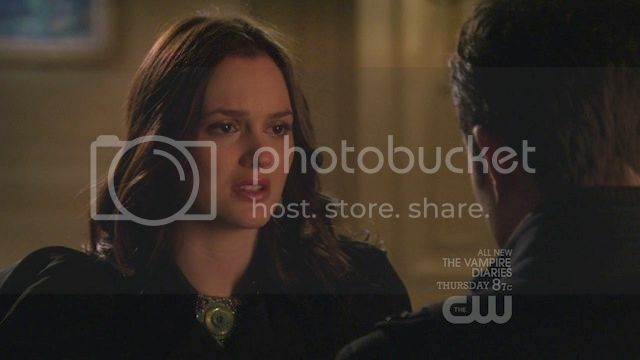 Blair tells Chuck she needs an answer before she can give Nate his. She tearfully asks him if what he feels is real or if it's just another one of his games. UGH. Not even gonna waste my time on this chick. ADIOS, V! Hope you're enjoying your siesta in Spain. Better believe there's a reason why you're the only one not returning for the finale. Remember that high school teacher Dan dated in season two? Miss Carr? Probably not because this was the worst episode arc ever. Ooh la la, Clemence played the Parisian blonde bombshell who (temporarily) stole Chuck's heart while he was attempting to re-invent himself after totally blowing it with B. S confessing to B that she killed someone. UH-OH. Serena's style is somewhat androgynous--she pairs leather with sequins, a stiff blazer with a flirty romper. Her more relaxed style with oversized sweaters, messy pony tails and slouchy boots matched her more relaxed personality. Always adorned in perfectly placed lace, drenched in ruffles, or with a cape draping her shoulders, Blair defined all things preppy and proper. 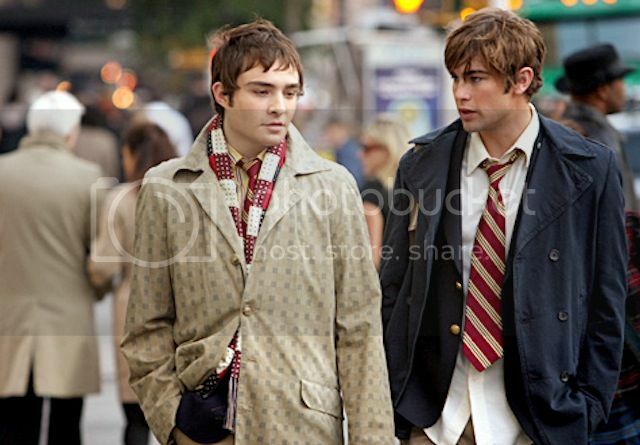 Gossip Girl opened many doors for me to the music world. Several artists even performed in episodes including The Pierces, No Doubt, Lady Gaga and Cindi Lauper. My bet's on Humpty Dumpty. 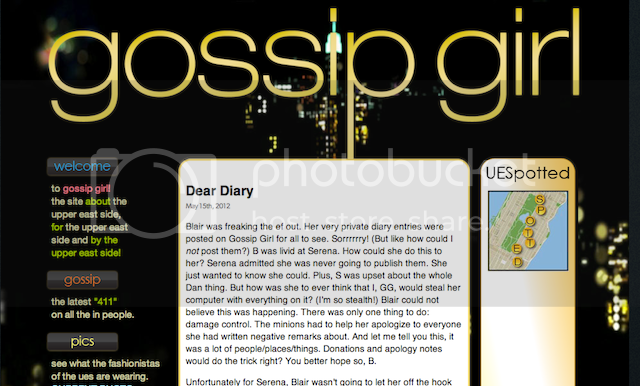 Indeed, I think Gossip Girl is actually a Gossip Guy, namely Daniel Humphrey. My theory has only recently evolved from the end of this season when Dan told his dad, "I've had a plan this whole time and it's finally working." On top of that, he's a writer, making a career out of novels which document the lives of the elite from the outside looking in (exactly like GG). The site's main target was the ultimate it-girl, Serena Van der Woodsen, who he ended up falling for. And I can't think of many negative blasts re Dan except for his label as "Lonely Boy." Pretty good track record next to the rest of the bunch. Dorota would be my second guess. Either way, tonight we'll see the face behind Kristen Bell's voiceover. AND DOROTA, who's just THE BEST. A silver lining? The time off may give Chace Crawford some time to fix his funky lip. PS - What ever DID happen in Santorini?!???!???!! I AM LITERALLY SO EXCITED. AH AH AH. I loved this post, it's amazing! This is literally EXHAUSTIVE - it must've taken you ages to put all of this together! Do you have an insanely good memory, or did you keep track of your favourite moments as you watched the show? The finale was a fitting ending to a great show. Please keep posting - your blog is fabulous and it's getting added straight to my blogroll! Thanks for commenting so I could discover this gem of a blog.